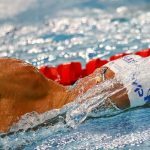 What Do Olympic Swimmers Eat? Swimmers are world renown for their appetite. The highly aerobic nature of the sport, the full body effort required, and swimming in cold water—which has been shown to increase hunger pangs—combine to give swimmers the well-earned reps for being monsters in the kitchen. There were countless moments during my own age group swimming career where the hunger aches begin to creep up halfway through a long swim practice. By the time I got home, and the large mixing bowl teeming with pasta was placed in front of me, I could barely think straight from ravenous hunger. The legendary swimmer appetite is why no one batted an eye when it was reported that Michael Phelps sustained himself on a 12,000 calorie-a-day diet. The story, which Phelps later revealed to be wildly blown out of proportion, spoke of a diet that included three fried egg sandwiches, five egg omelet, bowl of grits, three slices of toast, and three chocolate chip pancakes. For breakfast. Phelps’ actual diet was a lot simpler and far less time consuming to eat. During his preparation for the London Olympics, his morning meals included oatmeal, fresh fruit, and then an omelet with coffee. 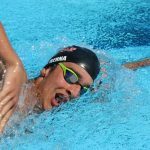 American freestyler and Olympic champion Nathan Adrian eats strategically, with Core Power protein shakes after sessions in the water and in the gym. His lunch includes a “fairly large” sandwich with turkey, provolone, lettuce and tomato. Adrian drinks Powerade during swim practices to give his body a steady influx of carbs, oatmeal and fruit before morning practice and will usually eat a carb-heavy snack before bed to avoid late night hunger pangs. 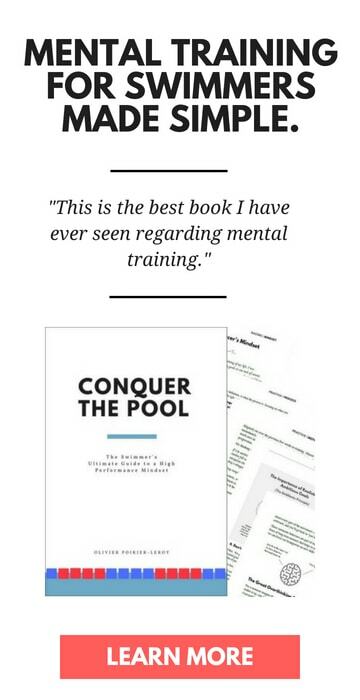 Backstroke world record holder and Olympic gold medalist Ryan Murphy credits an increased focus on his nutrition for part of his success in Rio. He keeps it light before AM practice, eating a banana and a PowerBar. Post morning practice he heads over to the dining hall at Cal and throws down on eggs, spinach, oatmeal, fruit and sometimes some Greek yogurt. Over the course of the day he snacks on trail mix. Her favorite thing to eat is lasagna Bolognese or pasta Bolognese. When it comes to cheat meals, it’s all about her love for the Raiders. “I’m a big Raiders fan so if I go to a game it’s impossible for me not to get a bratwurst,” she says. 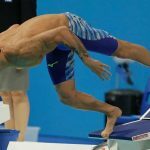 South African Chad le Clos—the man who took down Michael Phelps in the 200m butterfly at the London Olympics—takes a casual approach to his race day nutrition, basing what he eats off how he is feeling. “I like to eat a bit of protein, a bit of pasta, a bit of everything really. It just kind of depends on how I’m feeling to be honest,” he said. When it comes to staying fueled up for training, he likes to snack on biltong (cured, dried meat—kind of like jerky), nuts and bananas. 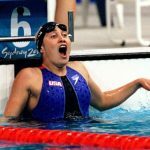 100m backstroke world record holder Kathleen Baker’s diet is a daily battle with Crohn’s disease, a chronic inflammatory condition of the gastrointestinal tract. “It’s taken me a long time to figure out what helps me stay healthy and what is easy on my stomach,” she says. Baker looks to bland meals like chicken and rice when experiencing a flare-up and relies on meal replacement beverages like Ensure to keep on top of the calories and nutrients necessary to perform. In the week before competition Lochte engages in some serious carb loading, filling up on pasta, with chicken alfredo being a particular favorite. On race days Lochte will typically drink coffee in the morning. He favors a simple caffeine pill for added focus and energy, not being a huge fan of energy drinks. 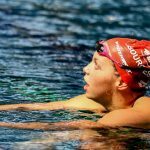 Sweden’s Sarah Sjostrom has been blazing up and down the pool since breaking her first world record at age 15. 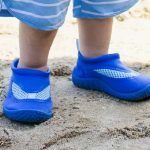 She has learned to run her diet without the need of counting calories, instead focusing on balancing out carbs and protein and listening to her body. Canadian Kylie Masse, former world record holder in the 100m backstroke, snacks on banana and peanut butter before or after practice. “I also love a good smoothie or a little bowl of Greek yogurt, berries, honey and granola,” she says. When it comes to second breakfast—the meal swimmers eat after morning practice—Australia’s Cate Campbell likes to dig into a couple eggs on toast. Campbell drinks protein shakes immediately after practices and tries to keep things as simple as possible on race day. “Plain past or rice with a bit of salt, white bread with butter, or cereal. Whatever I can keep down,” she says. 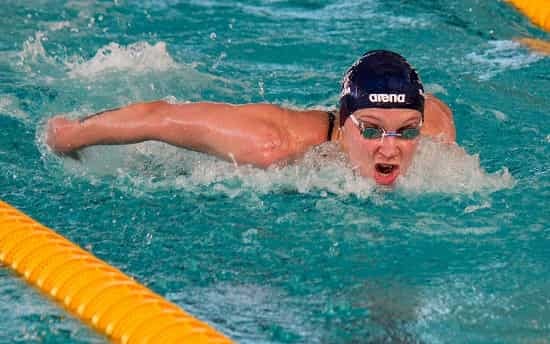 Swimmers have their superstitions, and for Mike Barrowman, Olympic champion and former world record holder in the 200m breaststroke, it was eating McDonald’s in the days leading up to a big meet. American Janet Evans, distance freestyle queen and winner of the 800m freestyle in back to back Olympics (1988 and 1992), had a big sweet tooth in high school, sometimes eating chocolate cream pie for breakfast. She cleaned up her diet in the following years, and by 1992 was bracketing her morning practices with a banana or bagel before and then pancakes with lite syrup after. Lunch included a turkey sandwich and fruit, with plenty of water and sports drinks over the course of the day to keep her hydrated. While she gave up the cake for breakfast, she would still occasionally treat herself to frozen yogurt or cookies. Three-time Olympian Stephanie Horner—who has represented Canada in both pool events and open water races—has a favorite pre-meet meal: steak. Before races she supplements her pump-up tunes with a cup of coffee. 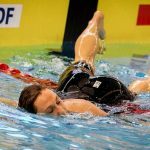 You will notice that the Olympic swimmers discussed all generally have a plan for their nutrition. They don’t leave it to chance, or let their cravings dictate what they eat. These athletes manage their nutrition for fuel and for performance. 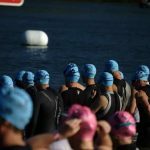 Nutrition is one of those aspects of performance that can make a profound impact on how fast (or not) you swim in the water. Eating better gives you more energy, helps you recover faster, and helps you push through tough workouts. Swimmers: Why You Should Be Meal Prepping. Want to eat better, save money and time, and also swim faster? Here’s why you should start prepping your meals. Nutrition for Swimmers: The Ultimate Guide to Eating Better and Swimming Faster. 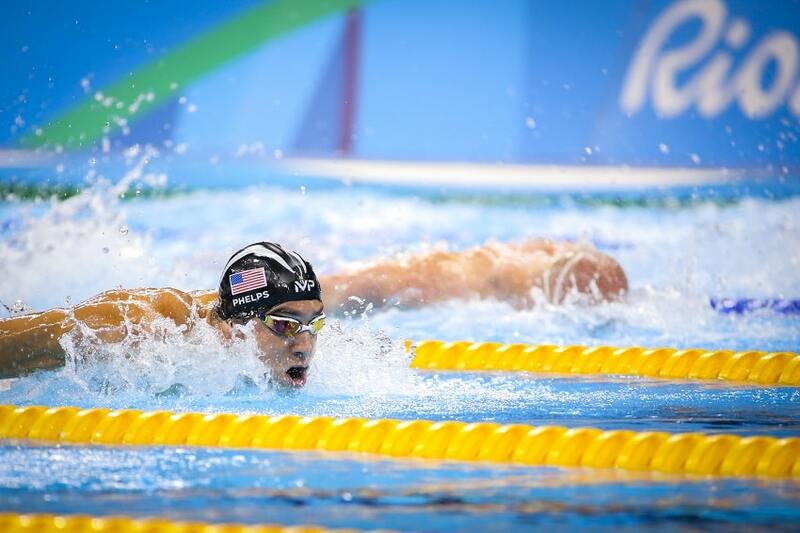 Our ever-growing collection of articles and guides for better fed swimmers. Eat Better & Swim Faster: 3 Strategies for Awesome Nutrition Habits. In this guide we cover three proven strategies for making excellent dietary habits a whole lot easier.